According to many analysts, the market is poised for a significant rally after the recent mid-term elections. But for some stocks, the day of reckoning may have come. These stocks had been flaming out before October's correction but may have been hoping that a post-election bounce would allow investors to overlook some of the core issues surrounding their business. But the market can be ruthlessly efficient and while there are many solid companies that should see a surge into 2019, there are several stocks that have some proving to do. We've put together this slideshow that lists eight growth stocks that are no longer growing. For some stocks, this may be just a minor bump in the road, while others may have to address some larger, systemic issues moving forward. Either way, as you look to evaluate your portfolio for 2019, these growth stocks are enduring growing pains. Qualcomm (NASDAQ: QCOM) Qualcomm has a reverse David vs. Goliath problem. In an ongoing legal battle with Apple that is nearing the two-year mark (and appears headed for a protracted court battle), Qualcomm is still looking for their slingshot. In the meantime, its earnings and share price are getting hammered. In the company's fourth-quarter earnings report, they cited a $ 2 billion decline in revenue and an operating loss of $654 million. While that was somewhat expected, the future does not look much better with the company citing revenue in the next quarter to be in the range of $4.5 to $5.3 billion, well below the $5.6 billion revenue target that analysts were projecting. Another obstacle for Qualcomm is a slowdown in smartphone demand in China. As the leading provider of modems for 5G smartphones, a slowdown in sales affects their royalty revenues. Qualcomm is well-positioned in the mobile market and may come out of the battle with Apple in a better position, but in the short-term, there can be value to be found elsewhere. QUALCOMM Incorporated designs, develops, manufactures, and markets digital communication products worldwide. It operates through three segments: Qualcomm CDMA Technologies (QCT); Qualcomm Technology Licensing (QTL); and Qualcomm Strategic Initiatives (QSI). The QCT segment develops and supplies integrated circuits and system software based on code division multiple access (CDMA), orthogonal frequency division multiple access, and other technologies for use in wireless voice and data communications, networking, application processing, multimedia, and global positioning system products. The QTL segment grants licenses or provides rights to use portions of its intellectual property portfolio, which include various patent rights useful in the manufacture and sale of wireless products comprising products implementing CDMA2000, wideband CDMA, CDMA time division duplex, long term evolution, and/or fifth generation standards and their derivatives. The QSI segment invests in early-stage companies in various industries, including automotive, Internet of things, mobile, data center, and healthcare for supporting the design and introduction of new products and services for voice and data communications, and new industry segments. The company also provides products and services for mobile health; products designed for the implementation of small cells; development, and other services and related products to the United States government agencies and their contractors; and software products, and content and push-to-talk enablement services to wireless operators. In addition, it licenses chipset technology, and products and services for use in data centers. QUALCOMM Incorporated was founded in 1985 and is headquartered in San Diego, California. Ratings Breakdown: 17 Buy Ratings, 8 Hold Ratings, 0 Sell Ratings. Activision Blizzard, Inc. (NASDAQ: ATVI) Activision stock is on the move – only in the wrong direction. After an earnings call where the company reported a decline in active users for the third straight quarter (the stock dropped 10% off a previous decline of 25% in October), you can count Activision as another victim of the Fortnitecraze. While some of their stock’s decline is due to a lack of recognition of the changing business model in the gaming space, a significant chunk has to be attributed to the lukewarm response to its latest Call of Duty offering that featured a battle royale mode that has failed to curb the momentum enjoyed by other offerings such as Fortniteand PlayerUnknown’s Battlegrounds. Further adding to the company's short-term problems are revenue and earnings per share projections for the fourth quarter that is below analysts' estimates. Supporters of the stock will say that the business model has changed and pointed to Activision's strong projections for in-game purchases which will define the digital model, but what should matter to investors in the short term is how long it will take for the market to digest this new business model. Ratings Breakdown: 19 Buy Ratings, 9 Hold Ratings, 0 Sell Ratings. Nvidia (NASDAQ: NVDA) Do investors rush in where speculators fear to tread? That’s the question regarding Nvidia which is looking like a stock that analysts are saying has some short-term challenges ahead of it. One of the reasons for the speculative money that went into the stock was its use in mining Bitcoin. That market seems to be drying up and with it, some of the speculative investors. Other near-term issues for the company include sagging demand for its graphics processing units as one of their core audiences, gaming enthusiasts, are turning towards gaming consoles like the Xbox One X that gives them a high-powered alternative. They are also experiencing weaker than anticipated demand in China, which is a recurring story for many U.S. tech companies in light of the current trade war. And their latest product, the Turing, has so far had an underwhelming response in the market. None of these may be long-term issues for the company, but there's no question that the stock is currently overvalued. It has a P/E over 30 and its market cap number $125.6 billion is greater than 13 times last year's revenue. Facebook (NASDAQ: FB) It’s hard to know what to make of this social media giant, yet this confusion may be the answer for investors wondering whether or not to invest. Some analysts say the stock is undervalued citing what they consider to be an excessive selloff. Others say that Facebook has been left for dead before and rewarded shareholders handsomely. But something’s different this time, and it’s not about privacy issues. As concerning as those may be, there is a sense that they’ll get fixed. What may not get fixed in the short term is a more fundamental problem. Where is Facebook’s revenue going to come from? Facebook is moving away from their cash cow, News Feed, to focus on their Stories and Videos platform. This signals that the loss in revenue that they posted in the third quarter and continue to project into the fourth quarter will most likely continue for some time to come. Investors want to see earnings, and unfortunately for Facebook, it looks like they are going to be seeing a decline in earnings until, and unless, their new strategy works out. Ratings Breakdown: 37 Buy Ratings, 6 Hold Ratings, 3 Sell Ratings. Starbucks Corporation (NASDAQ: SBUX) It seems almost like a heresy to be including Starbucks on this list. This is a brand that is opening up a new store every 15 hours and has a customer base that is passionately loyal to the brand. Furthermore, while virtually every other stock was losing value in October, Starbucks actually went up in value, and the company reported strong earnings and revenue numbers in their latest earnings report. The long-term question for Starbucks is in China. If you believe the company, they will say there's no problem in China and that they are patiently playing a long game. However, with the ongoing trade war showing no imminent signs of ending, and the brand has reached a saturation level of new stores in the United States, Starbucks is counting on China for its growth. Currently, Starbucks has 3,400 out of their 28,200 stores in China with plans to nearly grow that number to 6,000 by the year 2,022. However, Starbucks will have to succeed where even tech giants Amazon and Alphabet have met resistance. If China decides to limit Starbucks' access to their market, particularly in favor of homegrown brands, the company will face significant challenges to achieve its projected 14.6% annual growth. The stock currently trades at a P/E ratio of over 21, which is down from over 24 as the stock has pulled back a little. Starbucks Corporation, together with its subsidiaries, operates as a roaster, marketer, and retailer of specialty coffee worldwide. The company operates in four segments: Americas; China/Asia Pacific; Europe, Middle East, and Africa; and Channel Development. Its stores offer coffee and tea beverages, roasted whole bean and ground coffees, single-serve and ready-to-drink beverages, iced tea, and food and snacks; and various food products, such as pastries, breakfast sandwiches, and lunch items. The company also licenses its trademarks through licensed stores, and grocery and foodservice accounts. It offers its products under the Starbucks, Teavana, Tazo, Seattle's Best Coffee, Evolution Fresh, La Boulange, Ethos, Frappuccino, Starbucks Reserve, Princi, Starbucks Doubleshot, Starbucks Refreshers, and Starbucks VIA brand names. As of February 27, 2019, the company operated approximately 25,000 stores. Starbucks Corporation was founded in 1971 and is based in Seattle, Washington. Ratings Breakdown: 12 Buy Ratings, 12 Hold Ratings, 1 Sell Ratings. General Electric Company (NYSE: GE) The latest earnings report from General Electric is further evidence that this once venerable company is having trouble getting out of its own way. Despite naming a new CEO, Larry Culp, who may or may not be able to turn around the company, it was a less than auspicious debut when the company announced that they would miss consensus estimates for both revenue and earnings. To make matters worse, the company also announced they would be cutting their quarterly dividend to just a penny a share. That’s scary enough, but there were other pieces of information in the earnings report that scream sell. One of them was the company’s announcement that they would split their power business into two separate companies. The other piece of ominous news was the company’s admission that the Securities & Exchange Commission (SEC) would be expanding the scope of their investigation regarding the company's accounting practices. But perhaps the worst news for the beleaguered company came from JP Morgan analyst Stephen Tusa who wrote this in response to the company's third-quarter results, "While the stock is down about 70 percent from the peak of $30, this move still does not sufficiently reflect the fundamental facts." At this writing, the stock is trading at $8.74, and while it’s hard to believe that it might go lower, the reality is there’s no compelling reason to buy the stock until investors have the confidence that the unpleasant surprises are in the rearview mirror. Lockheed Martin Corporation (NYSE: LMT) After the Presidential election of 2016, Lockheed Martin’s earnings went full steam ahead. The nation’s largest defense contractor was one of the major beneficiaries of the Trump administration’s renewed commitment to defense spending. However, the mid-term elections, while not bringing the “blue wave” many were suggesting, did bring a Democratic majority back to the U.S. House of Representatives. In general, when the Democrats control either or both houses of Congress, it’s a predictive indicator that defense spending is about to go down. If it does, then Lockheed Martin will have a difficult time achieving the 155.2% increase in profits they had forecasted for 2018. In fact, with the stock dropping 17% during the October correction, it seems that market analysts were already seeing the writing on the wall. Growth is projected to slow to 11.5% per year. The big question will come down to profits. Current estimates are for the company to post average annual profit growth of 51.8% over the next five years. If defense spending gets cut, however, this percentage could come down, or even turn into a profit reduction. From a technical standpoint, Lockheed Martin’s stock appears to be overvalued when compared to other stocks in its sector. LMT’s stock currently has a P/E ratio of just over 28 which indicates that even with robust earnings, the price of the stock continues to rise in a disproportionate fashion. Square, Inc. (NYSE: SQ) There is no question that Square is well positioned for continued earnings growth. The question for the bay area tech company is whether there is room for that growth to carry over to their share price. For many analysts, the answer seems to be no. Square is the first to market with technology that allows smartphone users to accept credit card payments. That’s a game changer in a society that is moving away from cash. However, the stock has gotten a little frothy as investors bid the stock up to a record high of $101.15 in September. It trades at a P/E ratio of around 165. And that is after its stock got caught up in the October sell off to the tune of a 27% decline in share price. That still leaves it nearly double the share price of $36.17 at the beginning of 2018. Even with the company forecast for significant earnings growth, the market seems to be taking a wait-and-see approach on Square before moving this stock significantly higher. With the mid-term election over and earnings season in full swing, many companies are facing a reckoning of sorts. That's because investors are now back to looking at the fundamentals, and for the stocks listed in this report, there are some fundamental issues that could impact their short-term growth. For gamblers at the casino, the message is that over time the house is going to win. The same is true for investing. 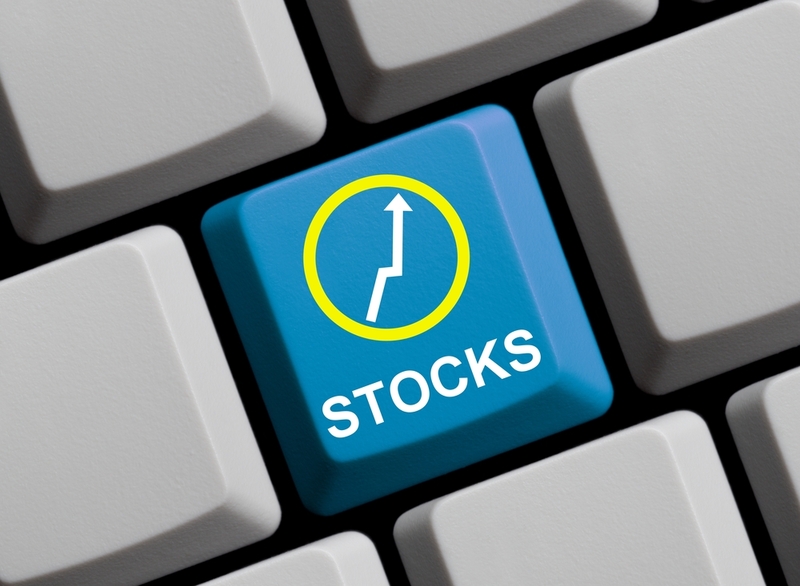 If you’re an investor who currently owns some of these stocks it may be difficult to sell, and if you don’t own them you may be tempted to buy. However, all of these stocks are being punished by institutional investors at the moment and that should be a caution for retail investors as we move into 2019. If you’re looking to stay on top of the latest movement on these stocks and others, you should consider investing in the MarketBeat All Access tool which gives you real-time analyst ratings, earnings, dividends, and a host of other investment research tools.